ELMIA Subcontractor Fair | ZVL SLOVAKIA, Sp. z o.o. ZVL SLOVAKIA, a.s has finished the trade fair season in 2013 with participation in an exhibition in Sweden. 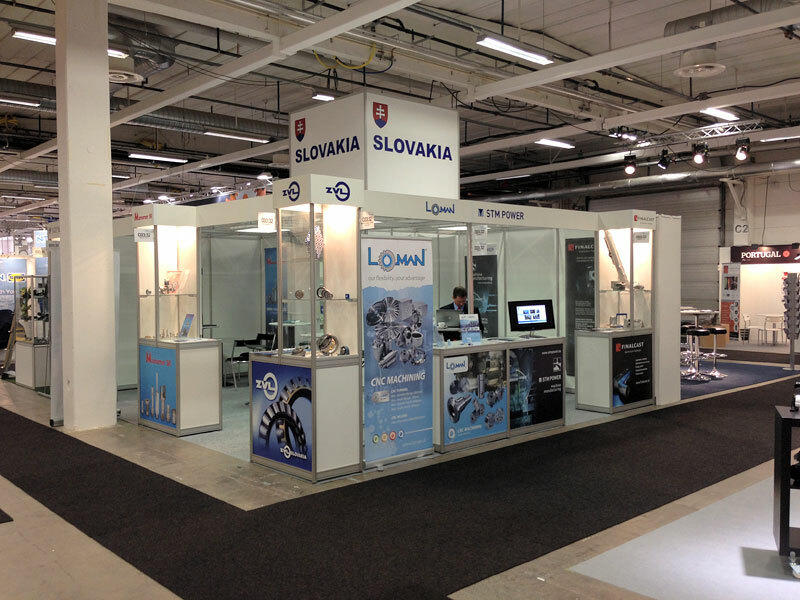 Elmia Subcontractor, held from 12 to 15 November 2013 in Jönköping, is one of the most important exhibition events for the manufacturing industry in Northern Europe. The 30th annual exhibition confirmed its leadership in its field in Scandinavia and was attended by more than 15,000 visitors from 29 countries. ZVL SLOVAKIA, a.s. participated in the exhibition in cooperation with the Slovak Chamber of Commerce and Industry. Together with other Slovak companies we were presented under the auspices of the Ministry of Economy of the Slovak republic. The product portfolio of traditional Slovak brand ZVL has been subject of interest of potential new customers. Participation in the exhibition met its purpose. Collected information and interest in the ZVL brand suggested direction in developing and strengthening of our position in Scandinavian markets.